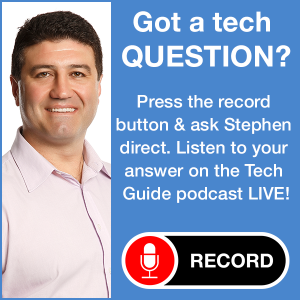 A fresh episode of the top rating podcast Two Blokes Talking Tech, featuring Tech Guide editor Stephen Fenech and Trevor Long, is available now. Topics discussed in Episode 15 by the “blokes” include Amaysim’s new Unlimited offering and the pending Apple announcements from the Worldwide Developers Conference. They also talk about Elgato’s TV tuners, Creative’s wireless speakers and the Samsung Galaxy S II smartphone. We also hear about the ACMA crackdown on mobile operators and Laser’s new digital radio which is the first to include an AM tuner. Just click Playlist and you’ll see Episode 15 at the top of the list. You can also choose to hear any of the earlier episodes of Two Blokes Talking Tech. 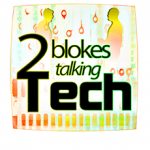 The podcast can be downloaded through the Two Blokes Talking Tech website.